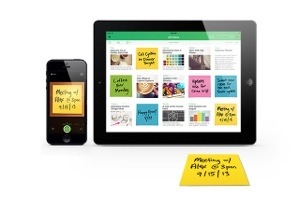 Evernote has partnered with Post-it notes. How could this apply to the classroom? 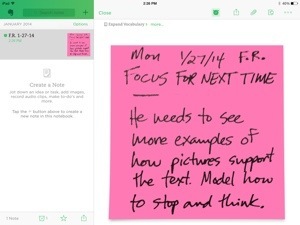 Primarily, it can allow a teacher to digitize any notes they might write about their students on a Post-it into an Evernote notebook. You take a picture of the note with Evernote, and it is saved within your web-based account. This can serve as a digital portfolio, to show both the process of learning in a student’s individual notebook, and the progress students make toward achieving their personal goals. 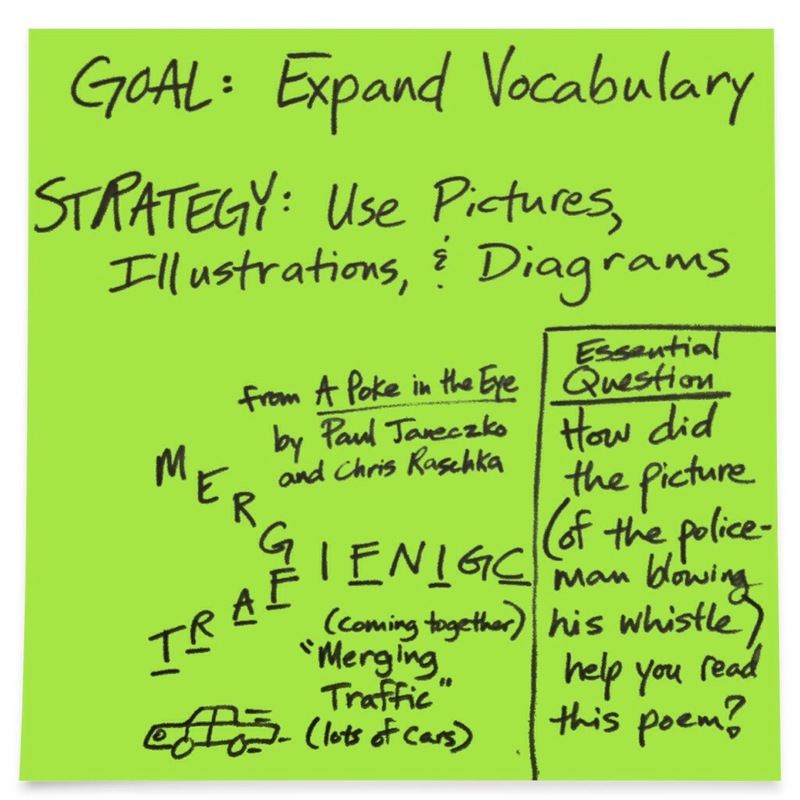 In this post, I describe one way a teacher could use the three different sets of Evernote-integrated Post-Its within readers’ workshop. Note: I did teach for several years, but now serve as an elementary principal. I am confident current classroom practitioners will find various other ways to use these tools for ongoing assessment in the literacy block. For a mini-lesson, I would use the Post-it Big Pad. A teacher could write and sketch out what strategy they wanted students to apply in their independent reading under a document camera. I tried a mini-lesson with my son during one of our days off from school due to the cold spell in Wisconsin. After much cajoling, including a promise to buy him another book on his Nook eReader, he agreed to let me teach him. He is a good reader for his age, but I have noticed that he tends to read quickly and possibly miss important meanings in the words and phrases of his books. So, I selected “Use Illustrations to Understand Text” as my focus for my mini-lesson (from The CAFE Book by Gail Boushey and Joan Moser). For the mentor text, we chose the poetry anthology A Poke in the Eye by Paul Janezcko. As you can see, I used multiple strategies to show my son how the illustration helped the reader understand the concrete poem. We sketched this out together, so I wasn’t the only one talking. If this were a classroom situation, I am sure I would have posted this mini anchor chart under the “Expand Vocabulary” section of my CAFE board. I could also scan this into Evernote to refer back to as review in future instruction. I gave my son a regular sized Post-It note and asked him to try and apply this skill in the same text. These are lime green, just like the big ones. To help him experience success, I scaffolded his response with a sentence starter. He was directed to place the Post-It under the line of a poem where a visual helped him understand it. After a minute or two of reading independently, he was able to apply this skill to another concrete poem. However, in reading his response, he associated the shape the poem was in with its meaning. While this is an important skill when reading concrete poems, it seems like he has not yet generalized how illustrations and text can collectively support meaning for the reader across many texts. This example of his thinking was scanned into his process portfolio. With several of these pieces of evidence saved in his digital notebook, I would have a cornucopia of information about his reading ability to inform my future instruction for him. We discussed the strength of his response, along with a goal of slowing down in his reading a bit in order to more closely observe all elements of what is on the page. If this were a goal he would post in the classroom, we would have worded it more briefly. Just for my benefit, I scanned it into a pre-assigned notebook for Expanding Vocabulary. 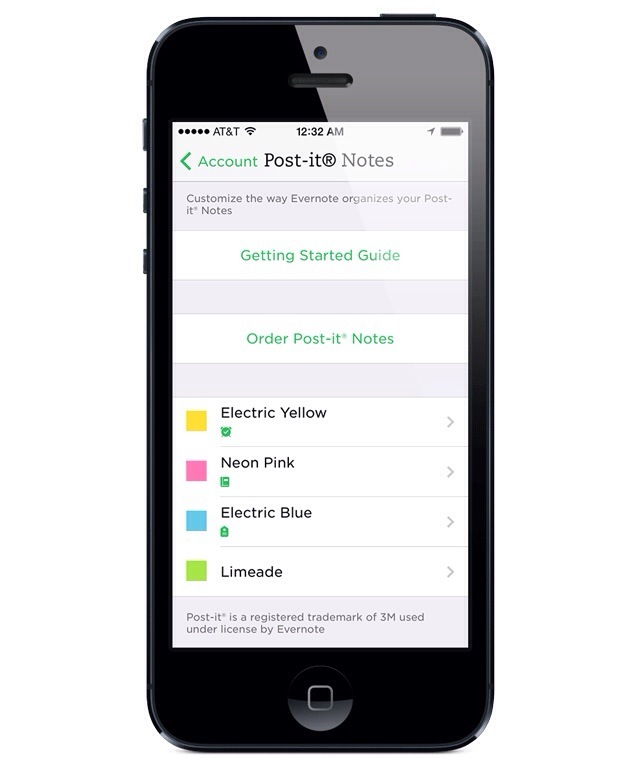 You can assign one of four Post-It note colors to a notebook within Evernote. This allows the user to digitize the note without finding the notebook first. Evernote knows where to put it for you. There are four assignable colors for Post-Its in Evernote and four categories in the CAFE assessment system. Perfect! As a classroom teacher, I would continue to jot notes about students based on the strategy I felt they could grow in. When I would later plan for future literacy instruction, I could look into each progress portfolio to determine who needed support in each area. What’s nice about these Post-Its is they come with one month of a Premium subscription to Evernote. This means you can search your handwriting within the notes you write and scan in. This is the best part of the service. If you are looking to use flexible grouping and work with students at different reading levels, type in a keyword or phrase, such as “stop and think”, and those students that have notes containing this will pop up. How’s that for responsive teaching? As 21st century educators, we don’t have to be tethered to technology to reap the benefits. By using digital tools such as Evernote and Post-Its to support quality instruction, instead of the other way around, we can stay focused on the learner and their needs. Matt, you always give me more to think about. Hmmmm. Thanks for including examples of how you envision this tool being used in classrooms. 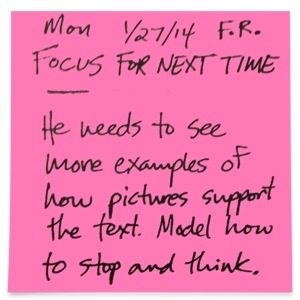 I have been trying to figure out how the “Evernote Post-It” is different from photographing a note. I suppose it is in the sorting and grouping? Tagging would perhaps provide these same benefits? I may have to play with these a bit. Thanks for taking the time to tell us more. Thanks Cathy. The benefits of the Evernote Post-It is a) you get one month of a premium subscription ($6), which turns on the handwriting search feature and increases the monthly upload, and b) you don’t have to organize the notes into a notebook. Once you assign a color to a notebook, you can just scan them and that’s it. As for tagging, I have stopped using this feature in Evernote. Because of the ability of EN to read your handwriting, all I have to do is search for a word or phrase in the search bar and it will pull up the notes that contain it. I gave a set to each teacher in one grade level that currently uses D5/CAFE. I didn’t tell them how to use the Post-its in their literacy block; I just shared my one idea and encouraged them to be creative. I look forward to seeing the possibilities with this new tool. Please share your reflections Cathy, if you find time to explore these technologies. I need to get back to Evernote and look at post-its. I see many possibilities. Thanks for sharing. More to ponder! Fran, your comment reminded me of one of favorite quotes from Regie Routman: “Focus on the writer first, the writing second.” Thank you for helping me reflect. Thanks for sharing the ways you’re using this basic tool in such meaningful ways with students. There are so many possibilities! I agree Stacey, many possibilities. I am interested to see how teachers might use them. It is a basic tool, and that is what makes it so powerful: It doesn’t get in the way of the reason we use them in the first place. Your comment helped me think more deeply about this topic – thank you! So if I had all 4 colors of the sticky notes, then I could set up 4 notebooks for CAFE strategy focuses. Then use that particular color when conferring with students and send to specific notebook, then I could see at a glance who to pull in a small group for certain strategies???? That was my thinking. However I am not a classroom teacher, so I cannot say for certain that is how it would work in practice. If you do try this out, please share your observations. Great post, Matt! 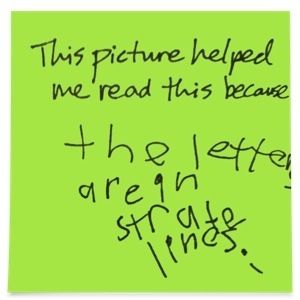 I will need to think about using the sticky note feature of Evernote! Love it! 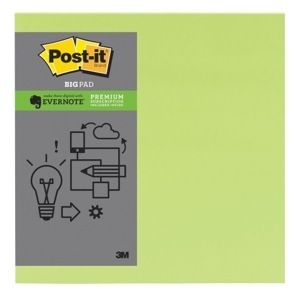 Pam, also consider the Moleskine Evernote notebook. There are four different colored stickers that could work in the same fashion.